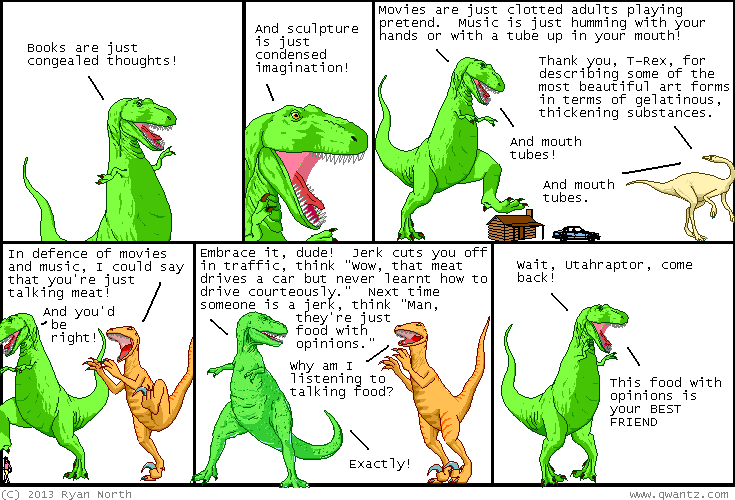 Dinosaur Comics - January 2nd, 2013 - awesome fun times! January 2nd, 2013: Welcome to 2013! There's a new ends-today footer on the site by Danielle Baskin and a new comic at the top of the site that you probably just read! I wrote it myself. Let us make 2013 super awesome rad, okay?